One of the largest and most beautiful of the European arums, Arum creticum is sometimes grown in gardens. 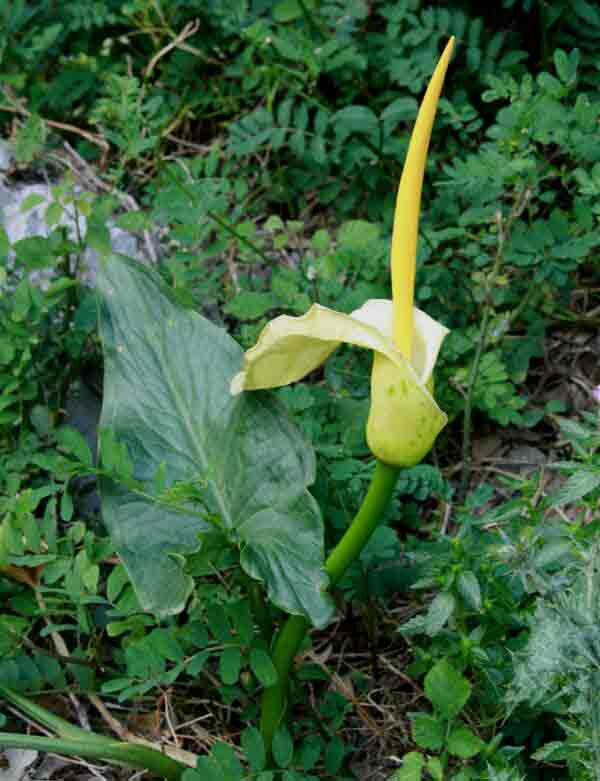 It has a large flower with a yellow-greenish spathe that folds backwards exposing the yellow spadix. This plant is a member of the Arum family, Araceae. 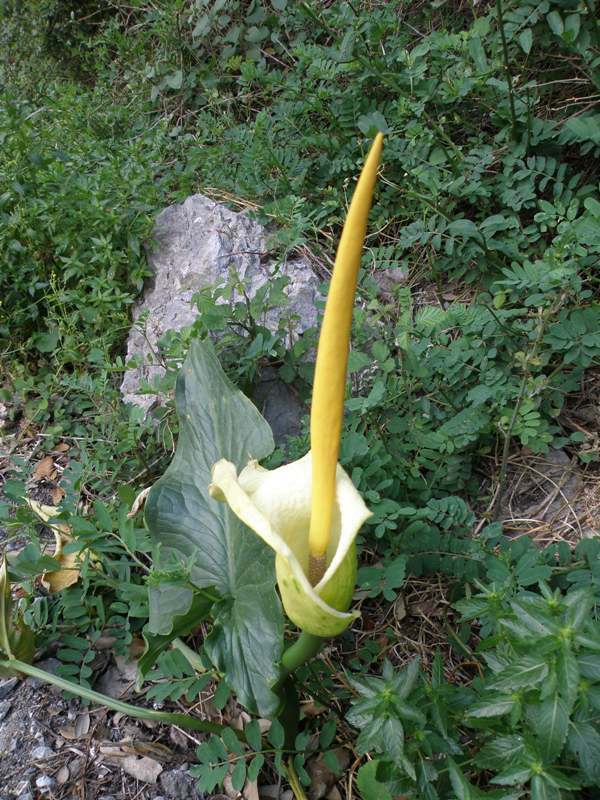 The Cretan Arum grows in the hills and mountains of Crete and Karpathos in gullies and other rocky habitats, and it blooms from March to May. The only larger arum to occur in the Mediterranean is Dracunculus vulgaris - Dragon Arum. It is a deep maroon colour and the flowers have a truly dreadful smell. Despite this, it is quite common to see it cultivated in gardens in the Mediterranean.